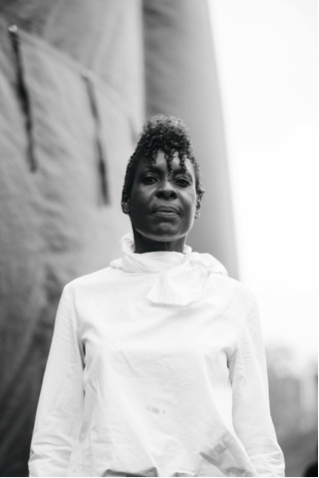 Vocalist and WQXR host Helga Davis joins Face the Music and composers Courtney Bryan and Shelley Washington for a program that speaks with fierce urgency to unheard stories and issues facing Black America today. Inspired by the 2016 film Hidden Figures, the program includes Bryan’s Yet Unheard (inspired by the tragic death of Sandra Bland), Washington’s A Kind of Lung, and music by Mazz Swift. Kaufman Music Center’s 100+-member Face the Music is the country’s only teen program dedicated to studying and performing post-genre music by trailblazing contemporary composers. Praised for “stunning performances” by the New York Times, Face the Music features a collection of ensembles including a chamber orchestra, a jazz big-band, an improvisation collective, string quartets, and mixed chamber-ensembles, all dedicated to studying and performing experimental, new-classical, new-jazz and avant-garde music written exclusively by living composers.